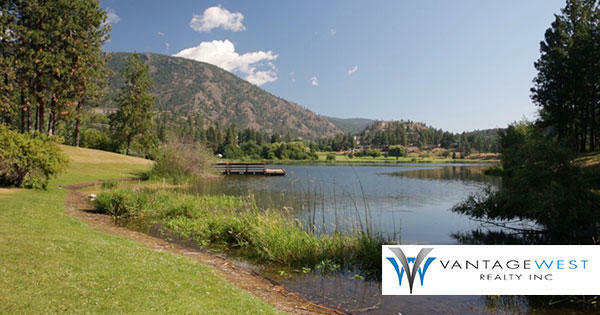 Shannon Lake homes for sale are located in a beautiful part of West Kelowna, just outside the city centre. The centerpiece of this area is the lake itself as well as its attached golf course. The Shannon Lake region is very green, filled with trees and natural, undeveloped spaces. This makes it the perfect location for luxury developments such as the brand new homes and condos that are being crafted throughout the community. Home to excellent public schools, indoor and outdoor attractions, and the kind of relaxing atmosphere that's so rare in this fast-paced age, Shannon Lake is perfect for families, luxury buyers, and retirees who've earned this wonderful lifestyle. Discover the latest Shannon Lake real estate opportunities by searching our updated listing collection below. Continue reading to learn more about properties and amenities in the gorgeous community of Shannon Lake! Prospective buyers of Shannon Lake real estate can choose from a selection of elegant neighbourhoods and condominium complexes that provide a peaceful, resort-like lifestyle with local amenities to match. This calming area includes a plethora of stunningly finished and well-crafted homes in both single-family and multi-family variations. Many of these were built over the last several years, sometime between the early 2000s and today. As a result, they are nicely appointed with the latest in-demand materials. Interiors are glossed with hardwood flooring and cabinets, high ceilings, crown molding, and brand new appliances. Condos often feature spacious decks with barbecue hookups and space for summer outdoor dining. These units are most frequently found within mid-rise buildings, but some lovely townhouse-style properties are available as well. These showcase high-end masonry with natural stone accents in marble and granite. Their luxury eat-in kitchens stun with gas stoves, French doors, granite islands, and separate prep sinks. Bathrooms are equally as impressive, often featuring high-end touches including heated tile floors, soaker tubs, and gorgeous vistas. Single-family homes in Shannon Lake usually start in the $500,000s and can range up to over $3.5 million. New, upscale homes dominate the market here with custom golf course houses, master-planned community properties, and private estates found throughout the area. Craftsman styles are common, with the signature natural stone and wood shake exteriors being highly popular. Inside the detached homes of Shannon Lake, sophistication prevails. You'll find everything from wine coolers, saunas, and oversized entertainment rooms to heated floors to stay luxuriously warm on crisp winter days. Lots are often situated high on elevated landscapes with unparalleled panoramas of the lake, mountains, golf fairways, and vineyards. Dreamy, expansive, and plush, each of these exceptional dwellings is one-of-a-kind — even within Kelowna's luxury market. Shannon Lake is bursting with amenities for all types of personalities. The Neighbours Pub is a cozy community venue with a laid-back, nostalgic atmosphere. This pub is a great place to catch up with locals and enjoy classic casual dining, hot and cold beverages, and the occasional special event. Plenty of parks and trails also surround the Shannon Lake neighbourhood, making it easy to get outside and enjoy the fresh air. Shannon Lake Golf Course is the heart of the community and it's easy to see why. The 18-hole championship course is set alongside gentle slopes, rock-lined ponds, and beautiful pine trees. Before or after an afternoon golfing in the sunshine, head to Courses Restaurant for some tapas or any of their flavourful globally inspired dishes. Residents can also explore the wonderful Okanagan wineries near Shannon Lake to get a taste of the famed local tasting and growing scenes. To find out more about the homes, schools, or culture of West Kelowna's Shannon Lake neighbourhood, contact Vantage West Realty. We'll help you determine if this is the right neighbourhood for your next home — or help you find the one that is!